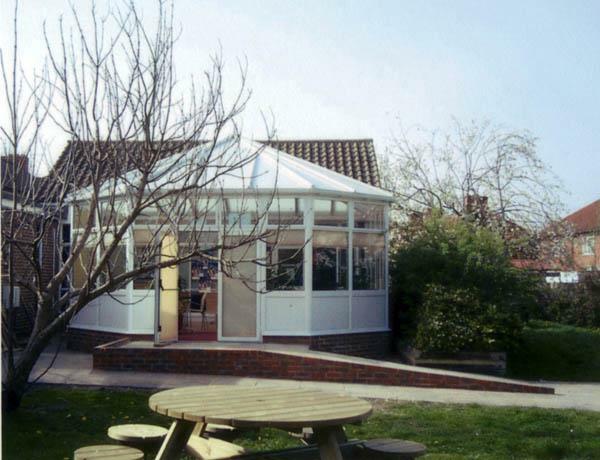 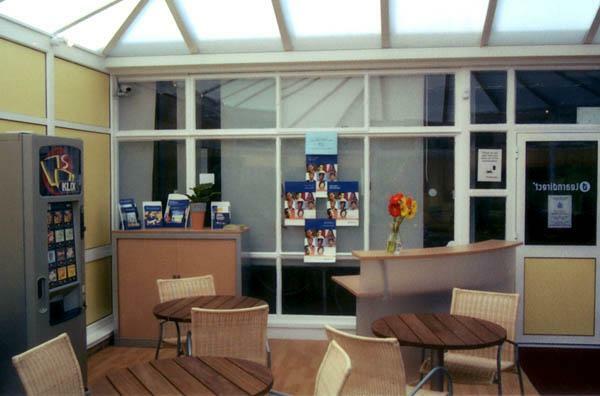 Conservatory extension to 1960s building. 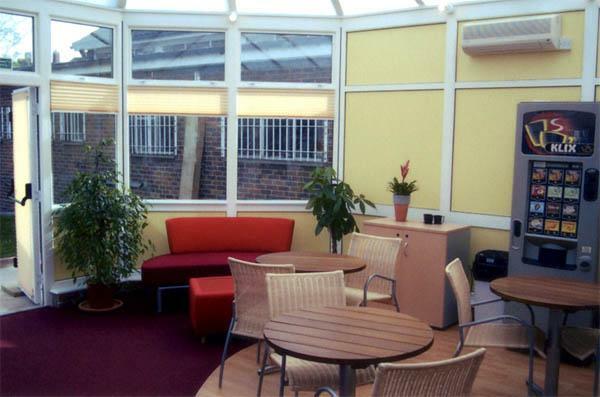 The conservatory was built in the library garden, with a ramp leading from it to a patio area. 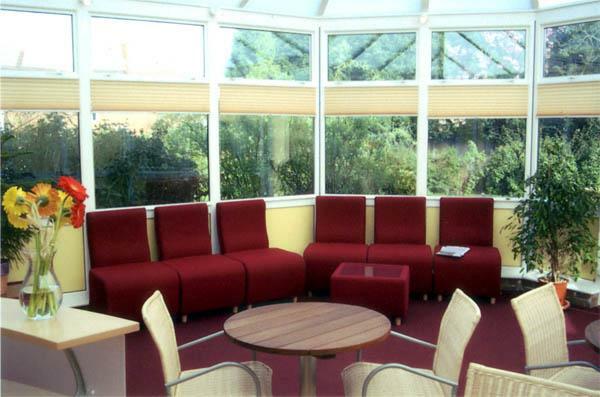 It can function as part of the library or as a separate area and adds 14% more floor space for meetings, MPs surgery etc.